This past July, I took my first mission trip out of the country. I traveled with seven others to Madrid, Spain, where we worked alongside four missionaries serving North African Muslims. 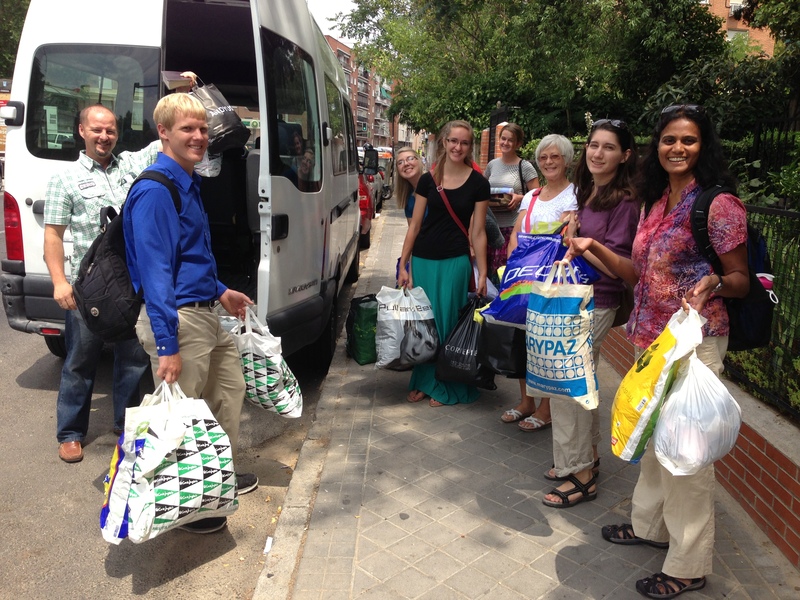 The missionaries asked us to host an English club for the children and a clothing distribution for the mothers. On the other hand, they told us to not share the gospel or bring up conversations on Jesus, the Bible, and Christianity. What strange instructions! Are these missionaries only interested in humanitarian efforts and social support? Were they opposing the Great Commission to “make disciples of all nations” and teach all Jesus has commanded (Matt. 28:19-20)? In fact, no. The missionaries knew that the people we’d meet needed to see the impact of Jesus in our lives. They needed to see that life with Jesus transforms us and makes us new. So doing things like teaching English or sorting donations wouldn’t cut it. It would require more from us than just going through motions. In Galatians, Paul says that the Holy Spirit grows in us certain character traits. By the Spirit, we become loving, joyful, peaceful, patient, kind, good, faithful, gentle, and disciplined. These are what Dan wanted us to “be.” Dan wanted us to be models of sincere Christians in love with Jesus and filled with God’s Spirit. Almost immediately after he explained this, I began to draw shorter breaths. What had I gotten myself into? Despite what it may seem, “to be” is a much greater challenge than doing something. “To be” has to do with identity. Being a Christian is not about keeping a set list of rules and “doing” the right things. It’s about becoming someone new. God was accurate in calling us his bride. When a man proposes marriage, we know he wants his love to say, “I do.” But we hope the proposal isn’t about asking her to do things like cook, clean, or raise children. If he is a honest man, he wants her to change her identity. He asks for her heart and everything of who she is. He asks her to change her name. And God asks us to change our names. He wants to adopt us, marry us. He wants us to give up our former identities and take on his through Christ. Unlike doing, being requires commitment. It means surrendering all we have to God. And surrendering takes courage. As I listened to Dan, I wondered if I had what it would take. My team was pushed that week, but we pulled through each day triumphantly. We worked well together, with each person rising to help wherever needed. We met unexpected challenges along the way and yet collected a staggering list of reasons to praise God. Sometimes in our group prayers, we could not finish thanking God for his blessings. But by Thursday morning, I had reached my breaking point. Each team member had their struggles–whether physically, emotionally, or spiritually–but mine was probably the most noticeable. Little things, insignificant issues on their own, had started to pile on top of me. Suddenly, the weight became overwhelming; I couldn’t stop the tears. And I rarely cry. Just before the English club started, the arriving children watched as I had to leave my team. 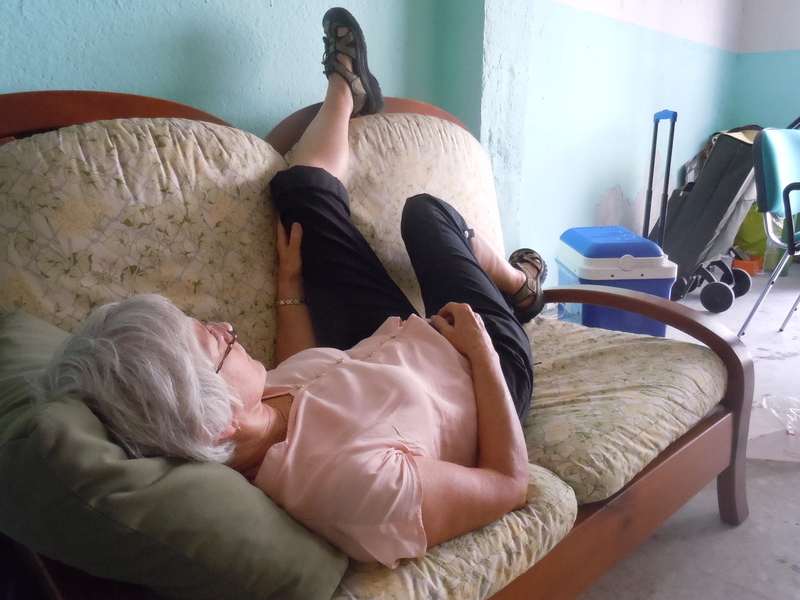 One of the missionaries escorted me to her apartment, where I could eat goldfish crackers and rest in front of a fan. At the time, I was convinced that I was under spiritual attack. The missionary, however, thought my distress could be from another source. She suggested that I was experiencing God’s discipline. Forced to rest, I couldn’t “do” anything. While I waited alone in the apartment, away from the distractions of programming, I could rest with God and be. When I focused on “doing” things for God, I lost how to be with him. And without his Spirit filling me up, I lost all ability “to be” anything but a stressed mess. We can do all we want on our own, but without God making us new from the inside-out, our doings mean nothing. Being in Christ is the only way others will see real life that comes by Christ’s salvation alone. By the end of the trip, it didn’t feel like we did much, but the families we met thanked us for being there. And I thank God for using us in his work with the community.